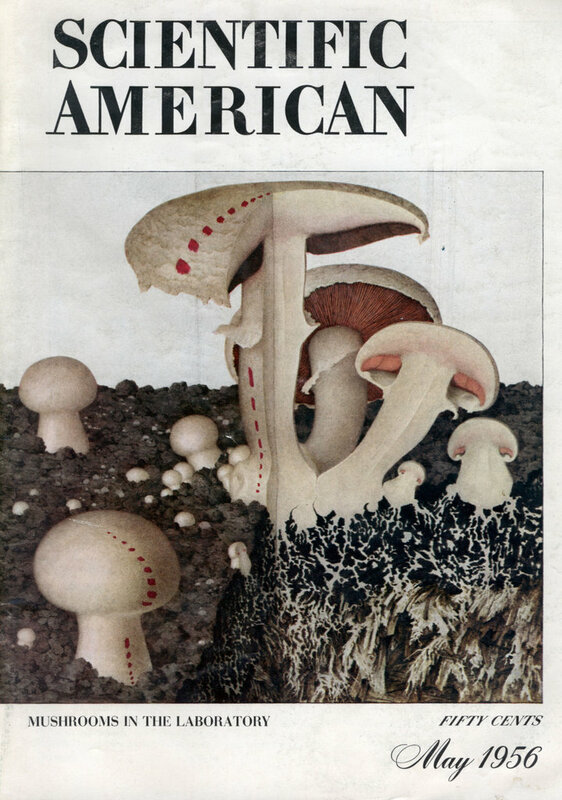 Nowadays that seems like quite a niche product to be advertising in a general audience publication like Scientific American, but in the 50’s people thought nuclear reactors were going to be everywhere. The effectiveness and safety of control for nuclear installation depends not only on choosing the right instrumentation, but also in applying this instrumentation correctly to the-job. 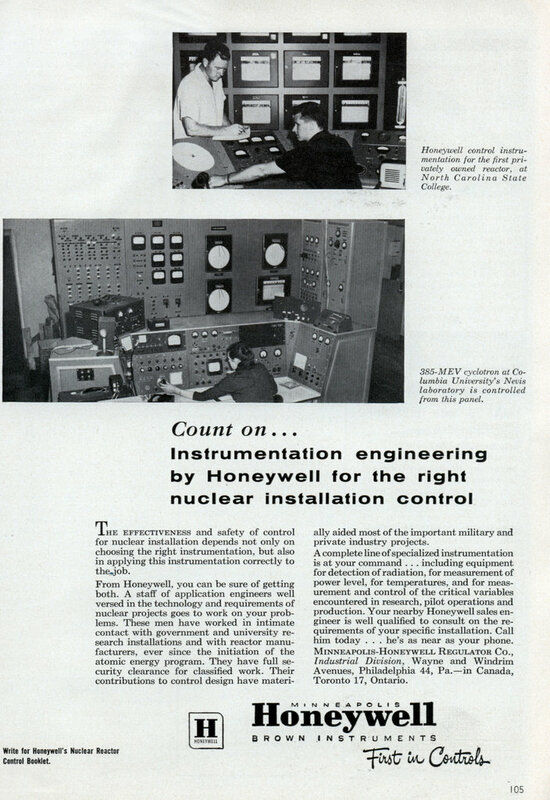 From Honeywell, you can be sure of getting both. A staff of application engineers well versed in the technology and requirements of nuclear projects goes to work on your problems. These men have worked in intimate contact with government and university research installations and with reactor manufacturers, ever since the initiation of the atomic energy program. They have full security clearance for classified work. Their contributions to control design have materially aided most of the important military and private industry projects. A complete line of specialized instrumentation is at your command . . . including equipment for detection of radiation, for measurement of power level, for temperatures, and for measurement and control of the critical variables encountered in research, pilot operations and production. Your nearby Honeywell sales engineer is well qualified to consult on the requirements of your specific installation. Call him today . . . he’s as near as your phone. Industrial Division, Wayne and Windrim Avenues, Philadelphia 44, Pa.â€”in Canada, Toronto 17, Ontario. I’ll bet that was some scintillating reading. Although I’d kill to have a copy of that today. I wonder if they only responded to requests on official letterhead from an organization that might concievably actually buy a reactor at some point in the mid-range future, or would send a booklet to anyone who wrote to them out of sheer unalloyed curiosity.